Removing floating free product without recovering water. 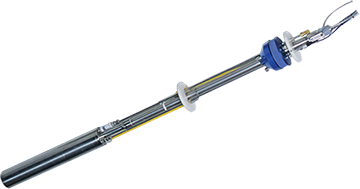 Used often for emergency or short-term remedial actions where long-term hydraulic control of the dissolved hydrocarbon plume is not required. They are also used in conjunction with other free product removal programs. Large filter skimmers can remove hydrocarbons at a high rate in quiet open water, large diameter wells and sumps. Passive systems do not pump free product, they slowly accumulate it using a floating intake filter cartridge or an absorbent material in a bailer. 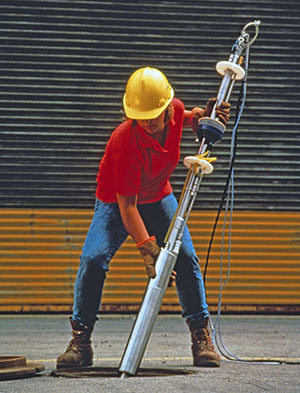 Pneumatic skimming systems that use bladder pumps attached to floating skimmers, or a pump at the surface, to pump floating free product to recovery tanks. Skimmer filters are constructed of a oleophilic/hydrophobic material that allows only free liquid phase product to enter. Active electric systems use electric pumps to automatically pump separated product to the surface and into product recovery tanks. Electrically operated skimming systems use oleophilic/hydrophobic filters to separate the product. 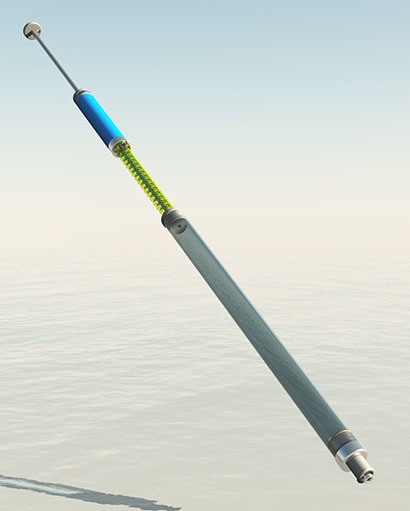 Sensor probe systems locate the hydrocarbon layer in the water and then pump only the product up to the surface. 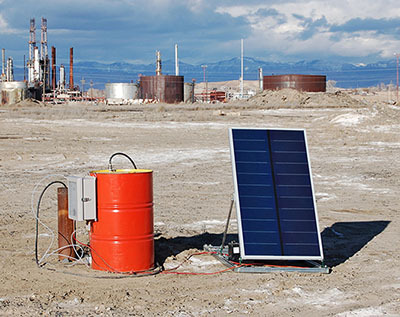 A Solar Sipper set up at an old refinery site. Geotech 2" PRC (Product Recovery Canister) Passive Skimmer.